Referees have to apply the laws of the game to a fast moving game, and they have to do so consistently and avoid errors, especially those that impact the safety of the players and the outcome of the game. It is probably fair to say that, despite best effort, we referees make a handful of wrong/suboptimal decisions every game. This happens across all levels of the game, including the professional leagues and big tournaments like the World Cup. The referees I know care about doing their best for the good of the game and for the enjoyment of players and spectators. We attend training sessions, seminars, and digest rules clarifications from Fifa and U.S. Soccer. We read websites and books focusing on refereeing. This preparatory background work is all volunteer time and we don’t get reimbursed for any cost incurred. Understanding and then applying the Laws of the Game to live, fast-moving game situations isn’t easy. I thought I knew what ‘offside’ or ‘handball’ is based on my life-long playing and watching of the game in Europe and here. I thought I knew how to move as a referee on the field – just stay close to the ball, right? Well, I was wrong. And I had to eat a lot of humble pie when I first started refereeing. So please trust me when I say that parents and coaches are rarely correct about the interpretation of the laws of the game and how those apply to specific game situations, especially during the more controversial situations. Parents and coaches are also typically too emotionally vested in the outcome of decisions to make them impartial and consistent decision makers. Passion is good, of course, but not when it comes to correctly interpreting specific circumstances. The only person to be able to accurately judge whether a player is in an offside position is the Assistant Referee (AR) standing parallel to the second to last defender. Even just a slight misaligned positioning of the AR or slightly different positioning of the players can lead to an inaccurate decision as the image on the right shows. Even the Center Referee (CR) cannot accurately determine offside positioning unless it’s blatantly obvious. This is also why the CR will (practically) never overrule an AR when it comes to deciding if the player is in an offside position. Now how likely is it that untrained parents and coaches sitting along the sidelines at various angles and distances to the action can accurately call offsides? Take a look at the screenshot on the right – would a coach or parent sitting 50 yards away along the sideline really be able to make an accurate call whether or not the white/blue player is offside or not? And keep in mind that just because a player is in an offside position doesn’t mean that it’s an offside infraction. Much more on ‘offside’ in a separate blog post soon. Players, parents, and often also coaches who see the ball touch someone’s hand or arm scream, “Handball!”. They think the call is obvious, but about 75% of the time when the hand or arm touches a ball it is not a handling foul. Take a look at he image on the right. Is this a handling foul? Yes, the ball touches the arm, but you need much more information than this to determine if an infringement occurred. 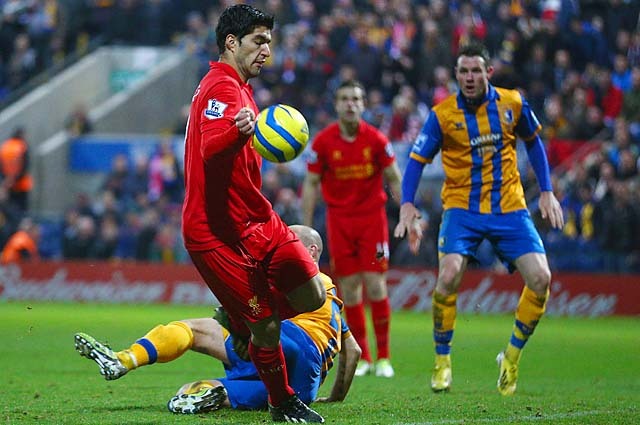 Please click HERE for my recent detailed discussion on ‘handball’. And click HERE and HERE for footage of actual ‘handball’ examples from one of my recent games. So if we accept the premise that making the right decisions is often difficult and that parents and coaches simply don’t know enough about the laws of the game (nor are they typically close enough to the event to see clearly what happened), then is it worth the disruption caused by screaming parents and/or coaches? It just distracts the boys and girls, creates a negative atmosphere, and makes game management more difficult for the referee. I often see players lose focus after their coach’s and/or parents’ outburst and that clearly doesn’t help the team. They feel ‘wronged’ and are now focusing on moments past. In some cases players lose their heads and make bad decisions that can cost games. They tend to act more aggressively toward other players and show more dissent toward the referee. Both types of behaviors increase the risk of conceding fouls and being cautioned or even evicted from the game. Again, referees make mistakes (and sometimes game changing ones) which can be frustrating for all involved. But the odds are very low that your view of an event is correct according to the laws of the game. So, please, for the good of the game and the boys and girls on the field, try not to interfere with the officiating. P.S. : The one case when parents might be in the best position to determine the correct decision is on throw-ins within yards of the sideline where they are sitting. The AR might be, say, 20 yards away at the halfway line (they are not ‘allowed’ to cross the halfway line) and the CR might be 15 yards away. Parents sitting right there could well be in the best position to see a little deflection or toe poke or similar. In those cases there’s a 50/50 chance the referees get it wrong, but the referees can’t go with what the parents think happened. They have to act based on what they saw. What makes throw-in mistakes less of an issue is that throw-ins very rarely have a game-changing impact. Previous article	← Give youngsters enough freedom to experiment (and fail)! Coming from the recruiting/training side of referees, there is a constant flow of referees every year–our recent league trained 70 for this spring, and we will probably do 70-80 more in time for the fall . We also have follow-on training sessions to become a better solo center, a better member of a 3 man crew, and a better center. We also have field marshals to assist referees and parents to keep things moving smoothly. But the youth turnover is still very high–guess how many times a 12 year old will listen to a grown man scream at them before they quit? The stability of the league is based on how many adults you can wrangle to spend their weekends listening to abuse. I’ve reached my limit, because I keep seeing the same clubs, with the same coaches, whine every season. There is only a slap on the wrist of these coaches, and they come back unchanged the next season. This is really bad for the sport, because these bad coaches train their kids to confront officials and train their parents to be obnoxious and confrontational. It’s ruined the sport for me, and it’s so unnecessary. But the leagues are run by coaches, who think coaches are the most important cog in this wheel. So don’t expect much change in the status quo. I’m just tired of spending my weekends doing this community service, when everyone else on the pitch acts like this “job” pays me boatloads, they’re at a professional match, and can say and do whatever they want. I still encourage my kid to referee, but I attend every one of his matches, just in case Coach El Douche decides to show up and create a disturbance. Yes, is is very difficult for a 12, 14, or even 16 year old to deal with menacing coaches and parents. And even when coaches and parents aren’t menacing, it’s the embarrassment of making a mistake in public in front of 22 players and, say, 50 adults and coaches. It takes a certain personality and thick skin to keep going. Many of them stop completely and pretty much the rest just stick to AR roles to earn some pocket money on the side. They quickly lose interest in being referees for the longer-term. I guess there are probably only two or three in each batch that actually enjoy it despite the drama and keep going for the long-term. 1. We dont have enough referees. Clubs in the bay area need to do a better job of a) training their own referees and b) encouraging their kids and parents to go thru ref training and/or be refs. a) Intentionally handling the ball, or as parents call it “handball”. You would be surprised at the number of refs who seem to think that any hand/arm contact with the ball is handball, just like the parents, incorrectly, beleive. 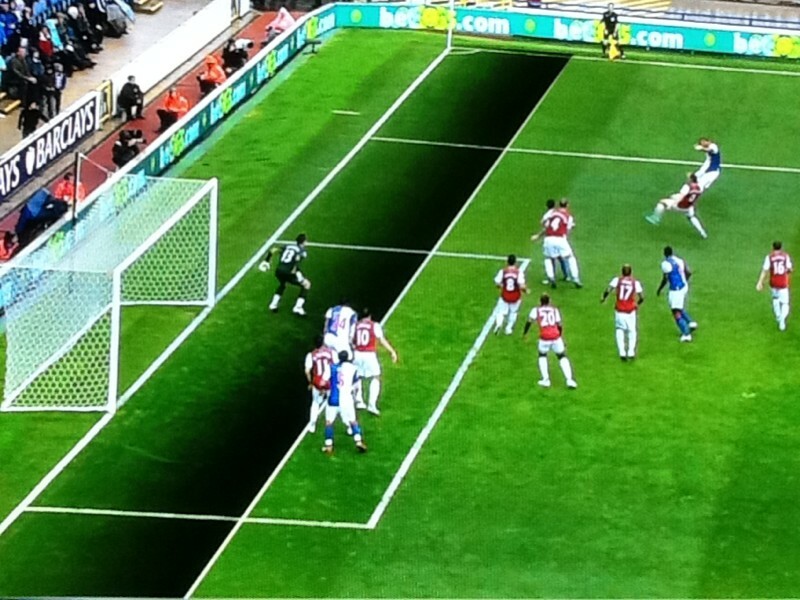 b) offside, as you so correctly point out, cannot be accuratley determined unless you are in the right place. I cant tell you how many ARs i see who are consistenlty in the wrong place, caught “watching the game”, and therefore just as unable as the parents to determine offside. c) Fouls, and not calling them agressivley enough. This results in esclating “violence” between the kids and the referee just losing control of the game. Its gotten so bad this season that i even wrote to our clubs referee organizer to ask if there had been some missive from the powers that be to “let the kids play” and loosen up the rules. 12 years olds, or 8 year olds for that matter, are not grown men with 15+ years of soccer expereince. Allowing every foul except the most heinous to go uncalled is just asking for trouble. This, instead of “no headers”, should have been the focus of US Soccers dictate on concussions recently and would have a far greater effect. 1. Get more kids and parents to go thru the ref training, even if they dont become refs. Our club offers ref training twice a year for free. 2. Create knowleagable “referee advocates” on each team who educate the parents as needed during game time. We tried this at our club, but it was not driven to conclusion and so, i think, failed. You are correct, Andrew. We have a shortage of referees and there is a considerable spread of capabilities (and ongoing training) across referees. Both of these factors affect the quality of officiating, including how consistently the laws of the game are applied correctly from one game and/or referee to the next. The question is whether leagues, clubs, and referee organizations are doing a poor job recruiting and training referees (initial and ongoing) or whether there’s something inherently unpleasant about refereeing that makes it difficult to even find suitable volunteers. I suspect it’s a combination of both, but I’m not deeply enough involved in the recruiting and training efforts to comment in any meaningful way on that part of it. However, what I can say with reasonable confidence is that refereeing is viewed by many as a thankless job that isn’t worth one’s time. You have to deeply like and understand soccer and view it as a way to contribute to the growth of the game and/or contribute to kids’ development. The $20 to $50 per game referees get paid (depending on age group, length of game, CR or AR, type of competition) isn’t sufficient to be a motivator for the large majority unless you are a youngster looking to earn some pocket money. A small group of referees do need this extra income, but the majority can’t justify doing it based on the money. So it’s for all practical intents and purposes a volunteer role. If you do your job well then you simply blend into the background. The game ends and everybody goes home (and many still think the referee made mistakes, btw). But if you do make real mistakes (or have the courage to make the tough decisions that are not widely understood) then you are vilified. It happens to pretty much every referee every weekend. I know many youngsters that are happy to be ARs to earn some pocket money but don’t ever want to be CRs because they don’t want to deal with coaches and parents (and some players). Refereeing is quite unique – I don’t know of any other volunteer/community job where the volunteer is treated so badly. And very few want to be exposed to this during their spare time on weekends. Changing the culture of dissent would definitely help recruit and retain referees, especially younger ones, but I don’t have any solutions to propose right now. Btw, the referee training you refer to is quite simple and won’t help much. You only really learn about the laws and how to apply them well after many seasons of refereeing and ongoing study of situations. And learning by doing, and observing qualified referees. Players, parents, and coaches quickly forget any ref training they might have received. It’s simply not sufficient to make a material practical difference. Keep in mind that coaches already have to complete a ref course to be licensed coaches, but that clearly isn’t helping much. You have to live and breathe the laws of the game and how they are applied and interpreted during live game situations to understand them. The same issue applies to ‘referee advocates’. They really have to know the laws and how they are applied to be credible and then have the courage to repeatedly and vocally (sometimes forcefully, sometimes quietly) manage a group of parents that they are also friends with or at least want to maintain some form of relationship with because their child is on the team. This is a very uncomfortable role and I suspect that incentives are too misaligned for this to be sustainable. I’m not surprised to hear that this initiative eventually ran out of steam in your club. So, no concrete solutions, just observations for this one, unfortunately.